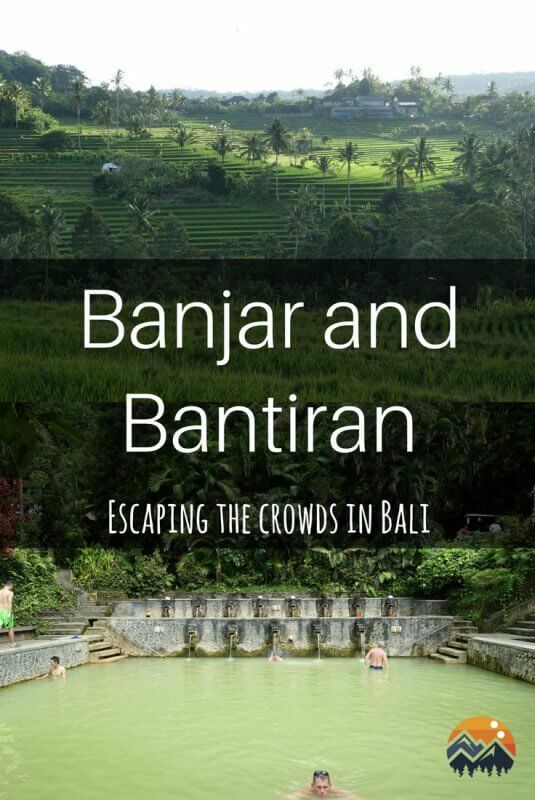 Nestled deep in north Bali are the magical hot springs of Banjar. If you’re without a car/driver, you can take the bemo heading west from Lovina, informing the driver that you’re going to the hot springs. 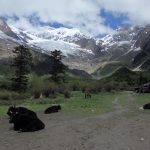 He’ll stop along the main road where it is about half an hour’s walk to the hot springs, according to travelers I met. As with many attractions in Bali, touristic stalls line the walkway long before the actual entrance, and you’ll just have to endure the touts. But with that done a tropical oasis awaits. Slowly soaking up the warm sulphur water and allowing the gentle stream of water from dragon shaped spouts gently massage your back is a truly therapeutic experience, especially after long hikes or just too long in the office. The hot spring’s affordable tickets and the small number of other visitors are definitely plus points too . As you can see from the above picture there’s just enough people to make you feel safe/ comfortable, yet nowhere near being crowded. 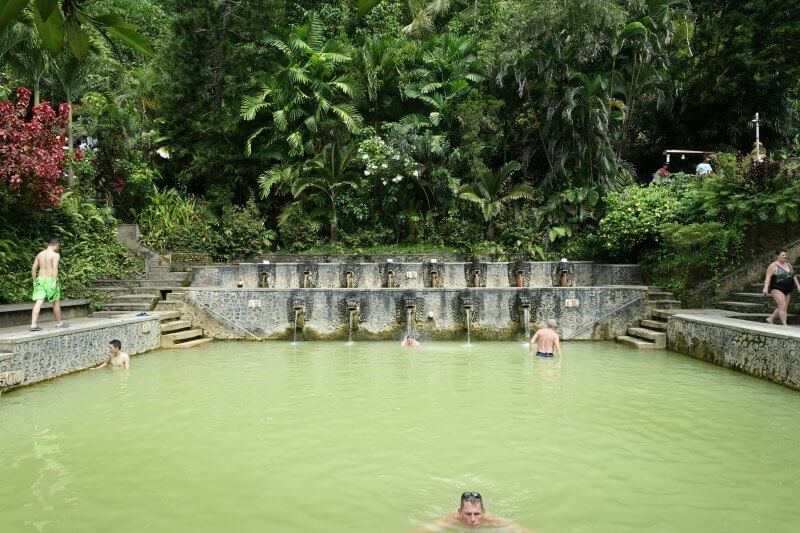 One of the pools at Banjar hot springs. 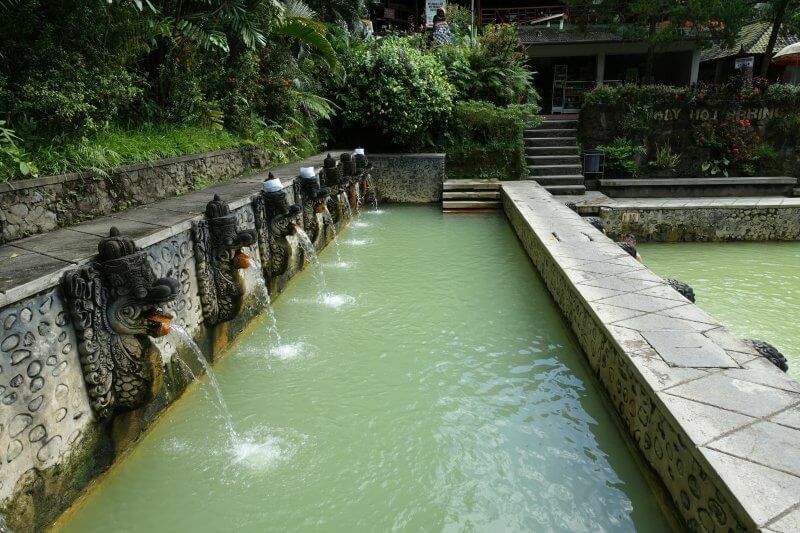 Entrance to the hot spring is at 20,000 IDR, toilets in the hot spring at 3,000 IDR and lockers available at 5,000 IDR. The locker was quite big and more than sufficient for my friend and I. After a really soothing hour at the hot springs we washed up and were ready to hit the road again. 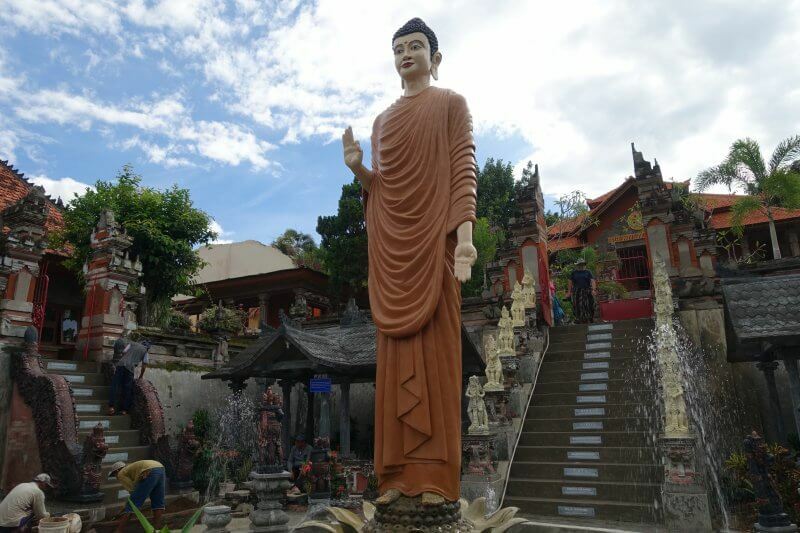 Also in Banjar is the very photogenic Buddhist temple, Brahma Vihara Arama. 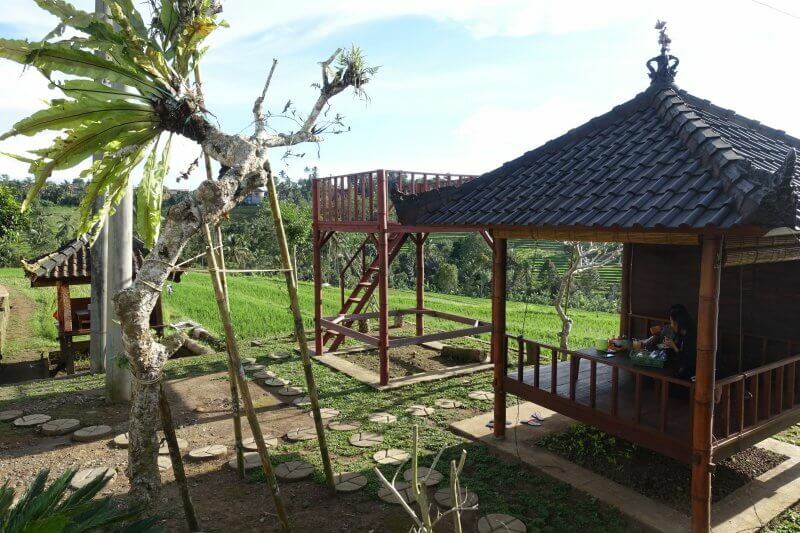 Brahma Vihara Arama is about half to an hour’s walk from Banjar Hot Springs, or just a couple of minutes by car. 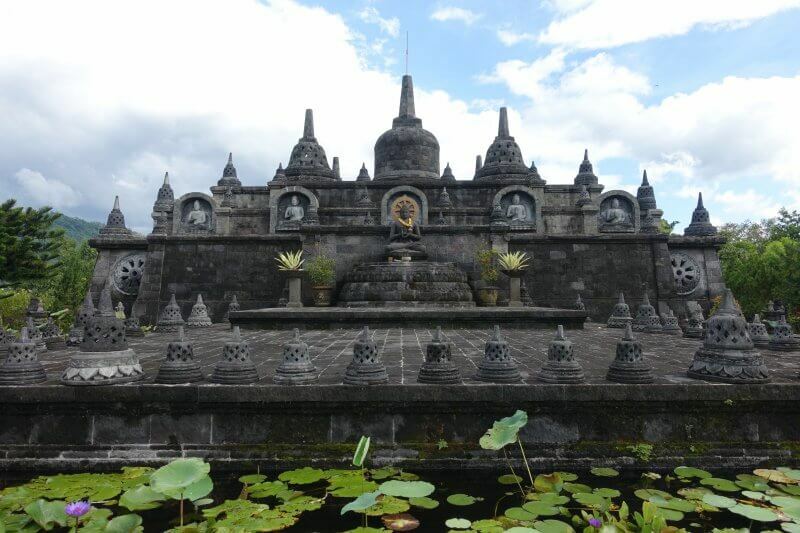 It is the largest Buddhist monastery in Bali. You can also sign up for a meditation retreat at the temple, which are on donation basis. The huge Buddhist temple surrounded by mountains and forests. 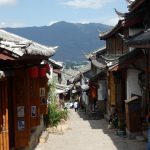 There are a few intricately decorated halls and gardens in the temple, in various styles. The temple is a work of art. 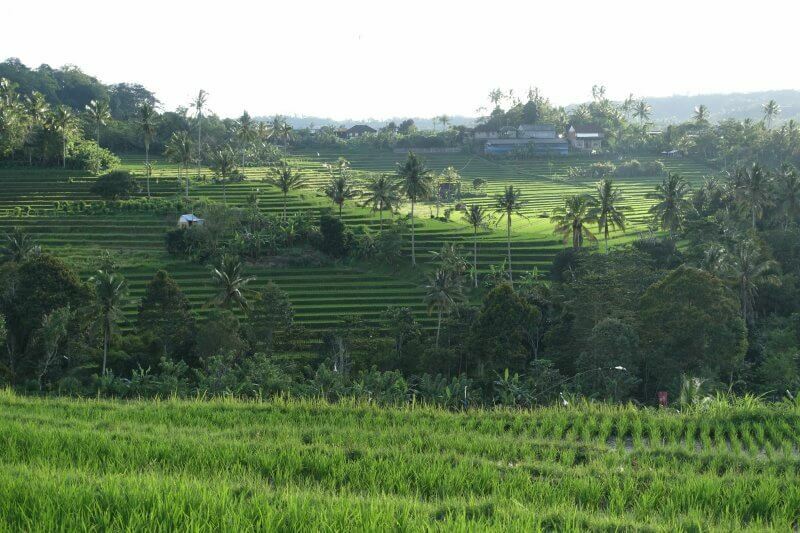 Few tourists make it this far and for your efforts you’ll be rewarded with beautiful landscapes and a mini Borobudur. More structures were being added to the temple when we visited. 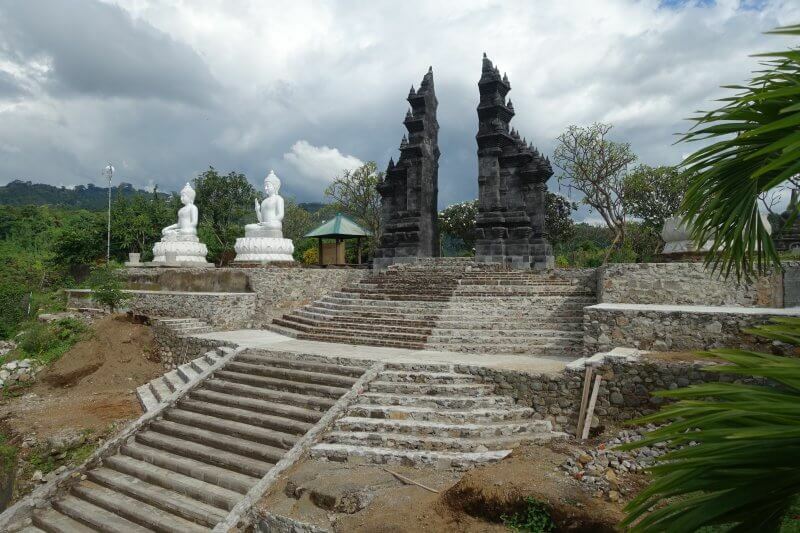 The mini Borobudur at Brahma Vihara Arama, highlight at the temple. 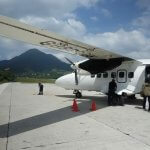 We continued our journey beyond Banjar, onward to Bantiran. Bantiran is roughly another hour’s drive up into the mountains. 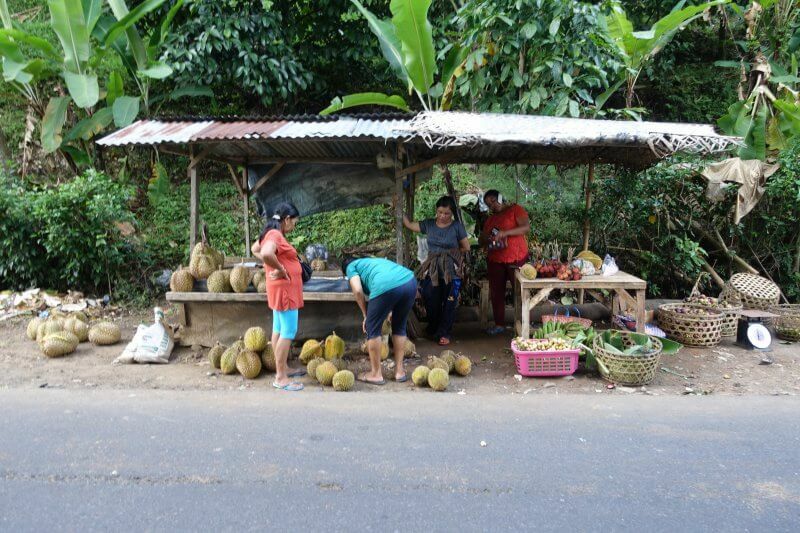 Fruit stalls can often be seen along the mountain road, and we couldn’t resist getting another fresh durian to complete the day (and our trip, that being our final full day). Our driver Nyoman brought us to a coffee stop run by his friend, also called Nyoman, on the edge of rice fields. What made Bantiran different from the other rice fields though, was that there were no other tourists to be seen. We sat in one of the huts like the one below and enjoyed coffee, durian, and the view of never ending rice fields in the soft afternoon sun. Chilling out in the rice fields at Bantiran. 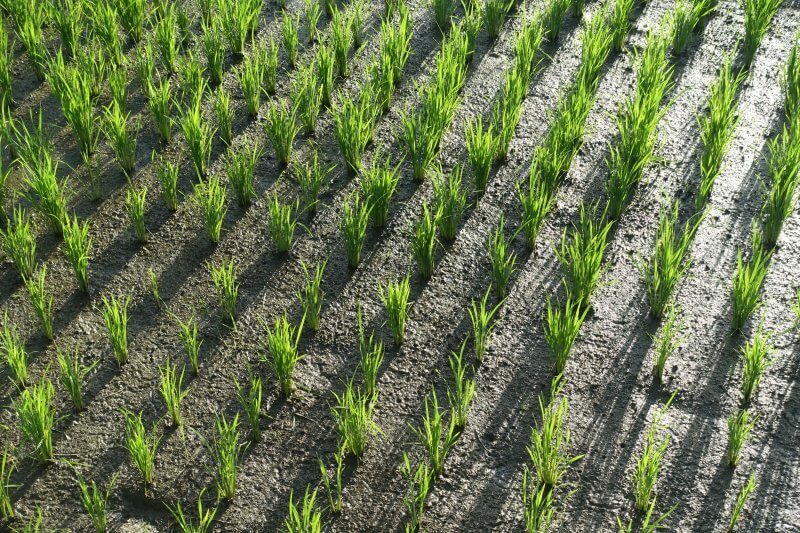 Newly grown rice in the late afternoon sun. 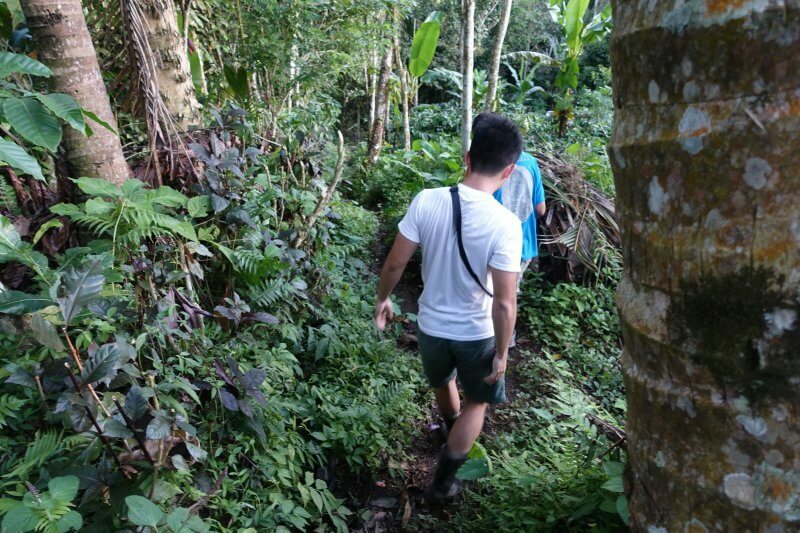 Nyoman and Nyoman had plans of leading treks for tourists around the rice fields to the secluded waterfall nearby and needed some guinea pigs. 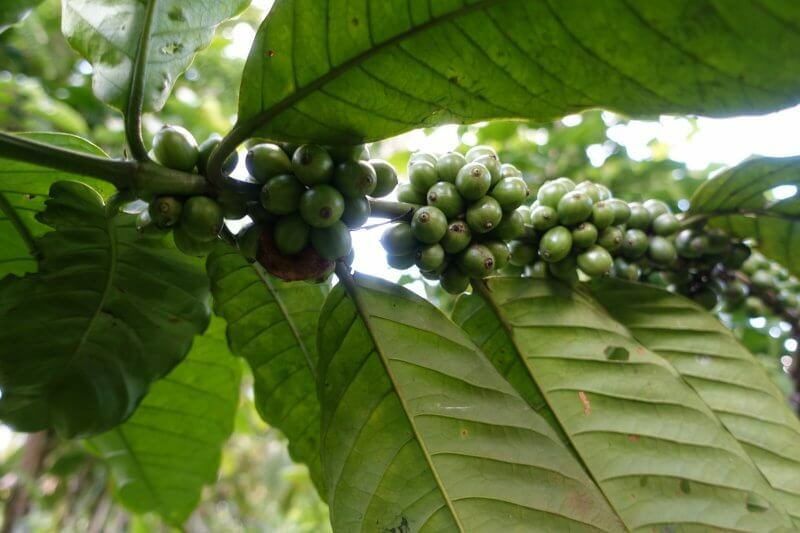 We were more than happy to try out new experiences, but as it was getting late we could only do a short trek to check out some of the crops growing around the plantation, which Nyoman (who runs the coffee stop) was in charge of. Let’s just call our friendly driver Nyoman of Pemaron and the other friendly Nyoman the Nyoman of Bantiran. 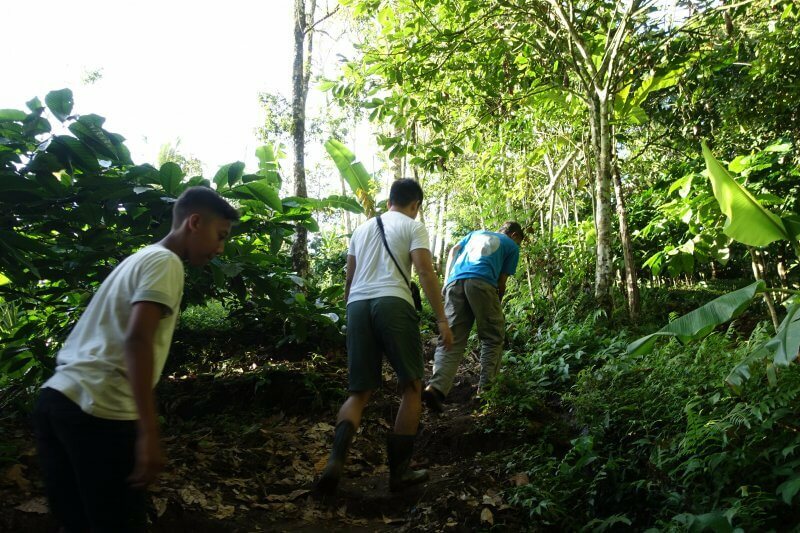 Nyoman of Bantiran got us rubber boots and off we went into the slushy muddy trails that follow the contours of the rice fields. Starting out hike in the Bantiran rice fields. 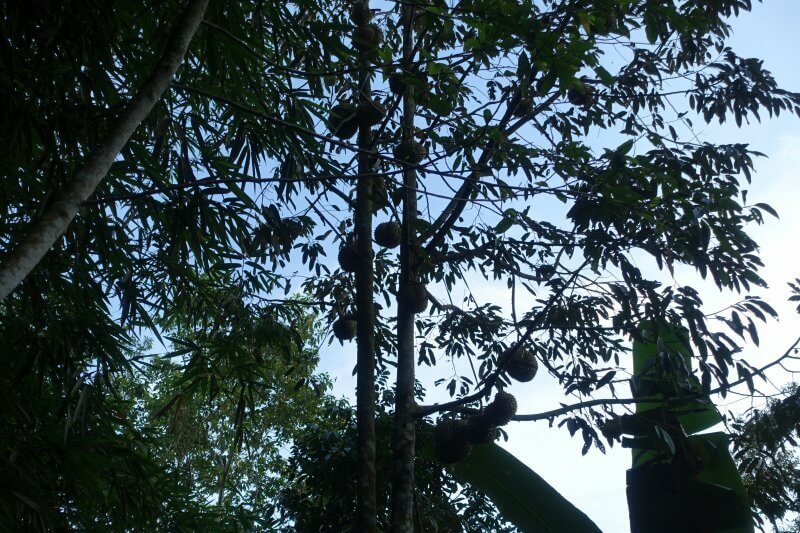 Although rice is the most prominent crop in Bantiran, there was a huge variety of fruit trees around too. Here are some of what we saw, though definitely not an exhaustive list. For anyone from the city (like us) it was an eye opening experience. 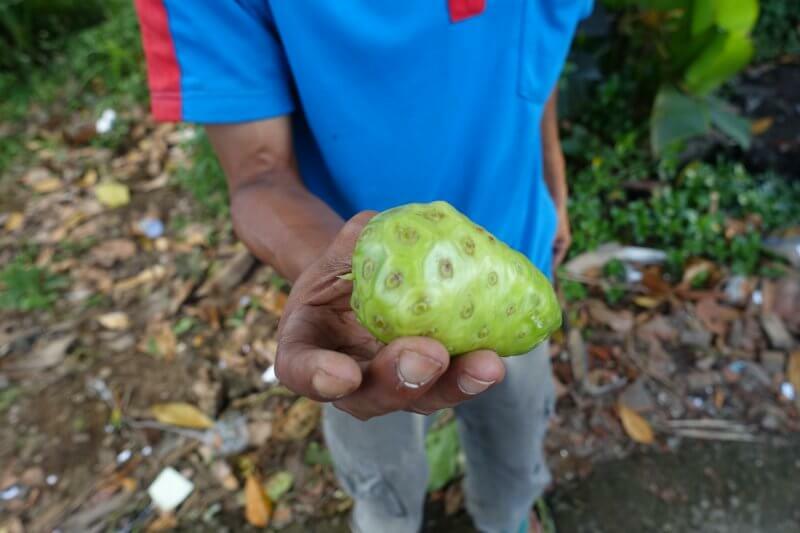 The king of fruits in Southeast Asia. Beneath its very thorny exterior is sweet and soft yellow flesh, extremely fragrant by some standards, and most repulsively pungent by others. Try at your own risk. 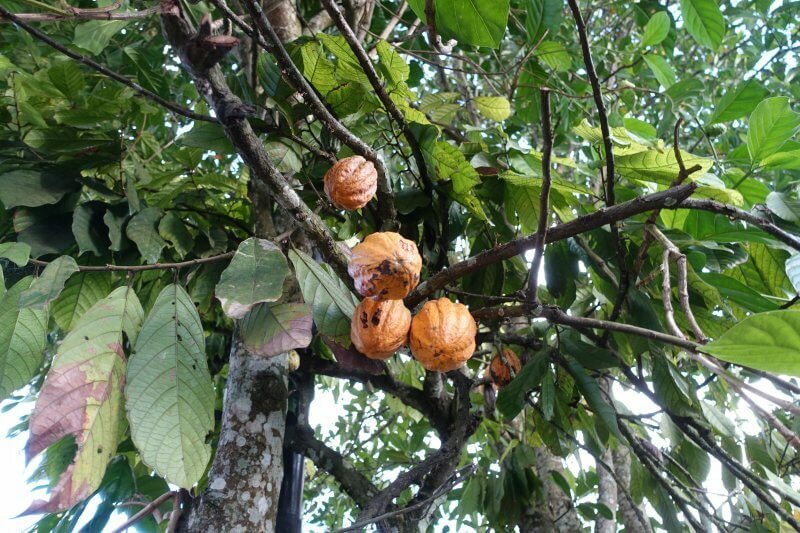 Salak is popular in Indonesia, and is also known as snake fruit due to its appearance. 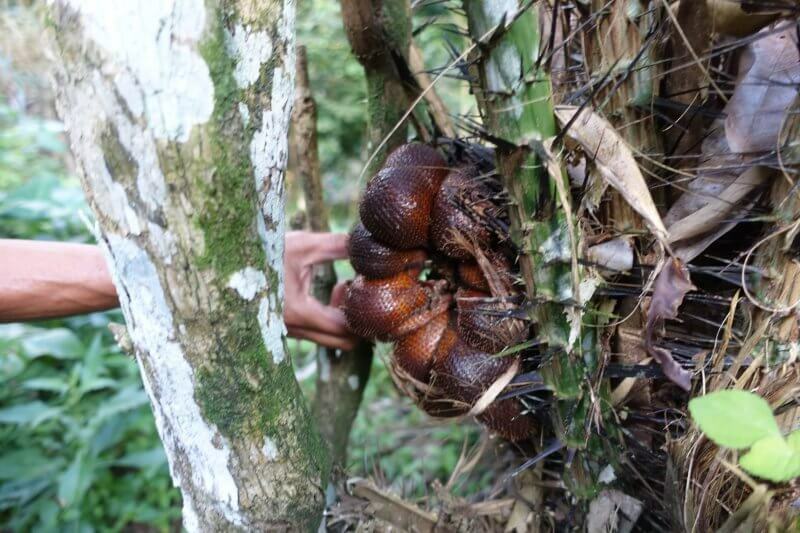 It grows on the trunk of some really prickly looking palm, but the fruit inside is sweet and crunchy. After reaching the bottom of the valley, heading back up. Glad for those rubber boots. This one is safer and less controversial. Peel open its thin skin to reveal slices of transparent, sweet and juicy flesh. 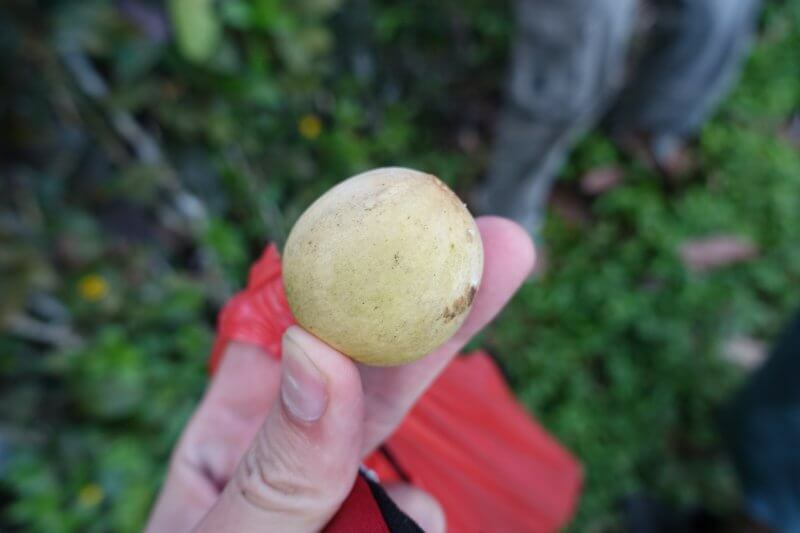 But I guess it was not suitable for eating as Nyoman of Bantiran threw it back into the bushes after we finished examining it. Sunset in Bantiran. Not much of it that day. It was a short walk, but we got to see many different fruits. Back at the little huts/stalls banana fritters were waiting for us, and we enjoyed them with Nyoman and friends while watching daylight fade away. Finally it was time to call it a day and head back to Lovina. And that wrapped up my trip to north Bali. 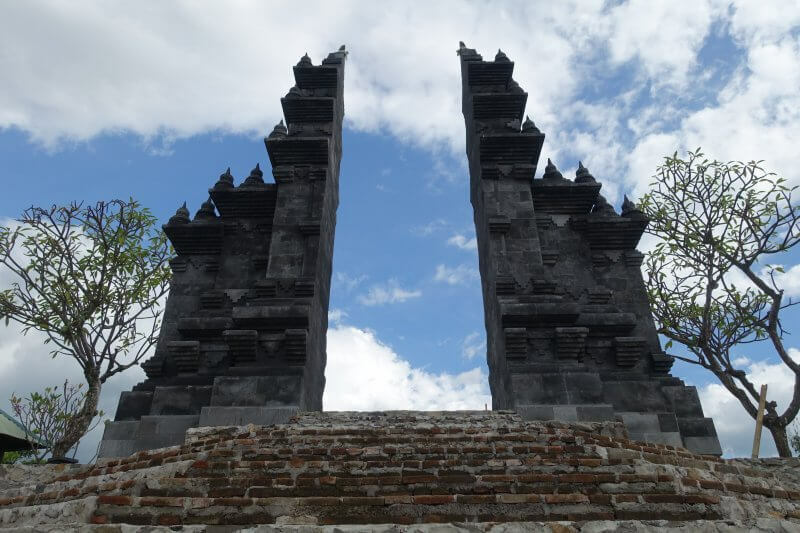 A long way from the airports and bustle of the south, but an eye opening experience too, and one without any of those crowds Bali has become associated with. 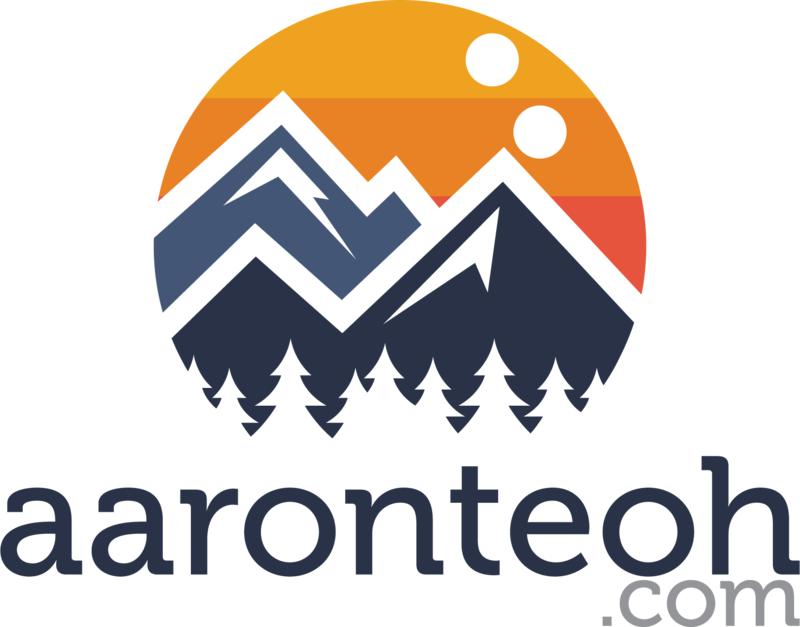 Next up, a trip to north Sumatra, for more amazing natural attractions in Indonesia. 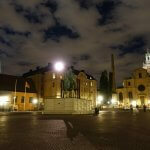 Couldn’t believe I hadn’t visited sooner, given that it is so near to Singapore (even nearer than Bali). For stunning sights from north Sumatra, come back soon!